Is Your Lawn Trying To Tell You Something? There are several reasons why brown spots, or even dead spots, can appear. Some are obvious, like a dog doing its business in the yard, but others require a little detective work. The soil pH could be unbalanced, or something toxic could have been spilled in the yard, killing the grass. We can test the pH balance and add the nutrients that are needed, or replace the grass and soil where nothing will grow. Sometimes an obstruction just under the surface keeps the roots from growing. Sometimes just an in inch below the soil, there can be a rock or stones, causing the roots to dry up and they must be physically dug up removed. Large trees can block the sun, pine trees drop needles around the trunk, which also can kill the grass. Trying to maintain healthy grass under a tree can be a constant challenge. At the very least the tree branches will need to be trimmed. Even then, the grass may not grow. Sometimes this can turn in to a losing battle and you are better off not trying to fight Mother Nature. In this case installing mulch and shade tolerant plants around the base of the tree may be the answer. Rows of pale yellow, burnt-brown, or dark-green grass are typically the result of an uneven fertilizer application. 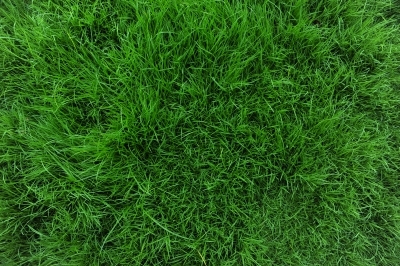 The areas of the lawn that received the proper amount of fertilizer will have healthy grass and turn a dark green. Parts that didn’t receive enough fertilizer, or maybe none at all, will be a pale green or even yellow. Finally, grass that is over fertilized will “burn” and turn brown. This is a great reason to use a professional lawn care company to handle the fertilizing of your lawn. In the interim however water the lawn well to encourage all of the grass to grow. If the burned grass doesn’t bounce back, the dead patches may need to be reseeded or new sod installed in the problem areas. Hutcheson Horticultural is a group of landscaping professionals located in Woodstock, GA and servicing metro Atlanta can diagnose and treat any problem areas of your lawn as part of our complete lawn care services. Contact us by phone at 770-924-1001 or use the convenient “Contact Us” feature here on our website.